Food and Beverage (F&B) industry supply chain efficiency is critical to both corporate profits and to the well-being of the customers who consume the manufactured processed foods. People want to be assured that the food they eat contains what it says it does on the label and that the product poses no short or long-term health risks. F&B manufacturers are right to make food safety a top issue. An Allianz Global Corporate & Specialty report published in late 2017 estimates that insurance claims for a product recalls reached an average of $9.5 million, with the F&B industry being the second most impacted, just behind the car industry. In fact, a trend is developing where consumers are demanding access to much more data surrounding the sources of raw materials that make up their foods and whether those materials are produced in a sustainable manner. The press and social media are raising awareness levels when something goes wrong in the food and beverage supply chain. Any news on deceptive practices or food borne illnesses, for example, often goes viral and get published nationally and, sometimes, across the globe. With food safety being such a high visibility issue, F&B companies are tasked with having a much better handle on the traceability of their products, not only in their food processing factories but also across upstream and downstream supply chain processes. PIM serves as a system of reference that centralizes all end-product data and makes it available to stakeholders internally and externally, from e-commerce platforms to stores. The data handled by PIM systems is constantly updated and complies with GS1 (a global standard for encoding information produced by the F&B industry such as product codes, ingredients, additives, consumer information, composition, allergens, and more). PIM provides a framework for making sure that the hand-off from one supplier to the next supplier is traceable and trackable as it moves across the supply chain. It also assures that product data can be standardized, centralized, and distributed with complete security. Serialization can help F&B companies predict and control future consumer demand and can simulate and model the supply chain more accurately by using real-time consumer intelligence to generate “what if” scenarios. Serialization also greatly speeds-up an organization’s ability to respond to a faulty product and to minimize damage and product waste. For example, with the touch of a button, the F&B manufacturer can immediately determine which production batch a faulty product was associated with, and which pallet it was on. Label assurance solutions inspect and validate packaging labels against their intended SKU at the packaging line level, reducing the risk of product recalls due to mislabeling and undeclared allergens. Updated data is scanned back to the work order, providing labeling performance reports in real-time. This allows engineers to easily perform continuous improvement analytics, saving significant time by not having to comb through large volumes of raw data. Together these solutions play a significant role in helping F&B organizations to cope with the challenge of food safety. Traceability across the supply chain is hard work and crafting solutions involves the development of close technology partnerships. 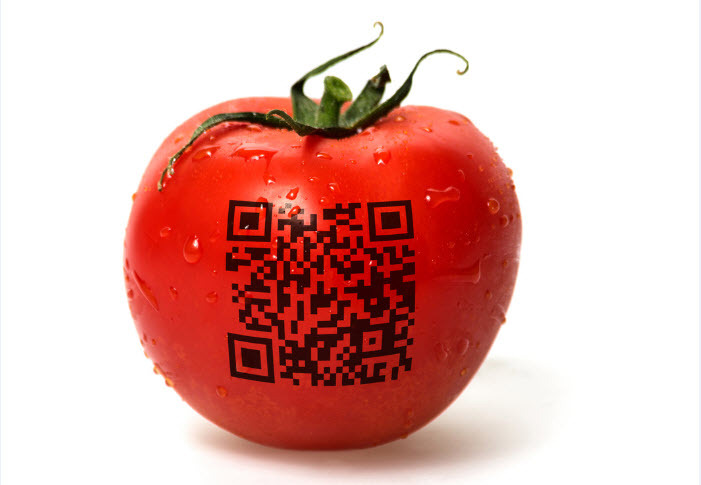 Companies like Schneider Electric have partnered with Agena 3000 (advanced expertise in PIM systems), Inexto (serialization expertise) and Microsoft (supply chain-related blockchain expertise) in order to provide F&B solutions that integrate end-to-end traceability into the supply chain workflow. To learn more about how new digitalization tools are providing F&B horizontal supply chain linkages, visit our new smart supply chain Web site.